WSD 2017 was a great success! #WorldSoilDay 2017 Photobook | Poster | NEW Video! Want to print a Megabanner for your World Soil Day event 2017? Why not adding the WSD banner or button to your blog or your website? We've provided a variety of sizes for you to download. To download a banner / button, simply right click on the one you would like to use and select 'Save Image As' (PC) or 'Save Link As' (Mac) from the popup menu that appears. Then save the file to your desktop or hard drive. The official WSD logo is available for download and use to help the campaign at your event! Look out for more languages in the coming weeks! 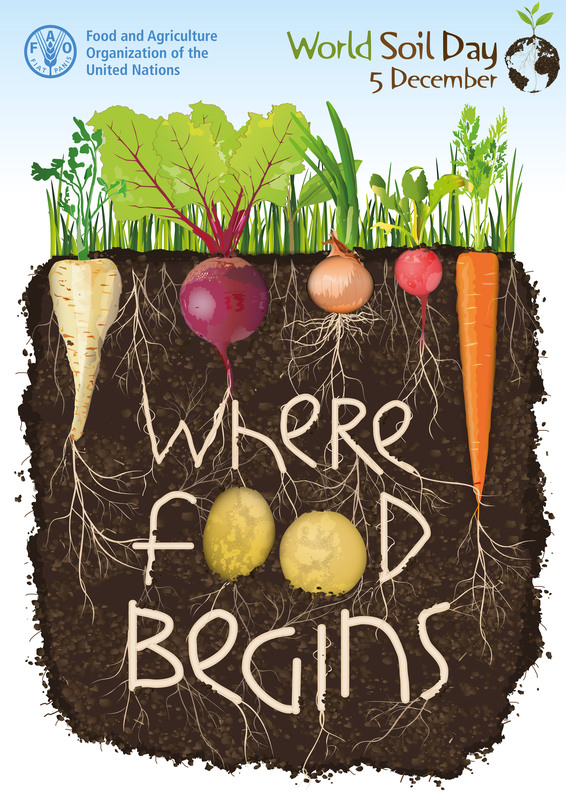 If you would like to request the logo in a new language, please send an email to world-soil-day@fao.org. Вам нужно одно из этих видео в высоком разрешении для показа на вашем мероприятии к Всемирному дню почв? Просто отправьте нам электронное письмо, и мы поделимся видео с вами. Узнайте больше о функциях и проблемах, с которыми сталкивается скрытый драгоценный ресурс нашей планеты в этой подробной инфографике.